Address : BERA LAKE, 27000 JERANTUT, PAHANG ? Lake Bera is located in the central lowlands of Peninsular Malaysia. It lies within the Pahang River catchments area. The wetland consists of a complex of inflowing streams and swamps, measuring some 35 kilometres long and 25 kilometres wide. 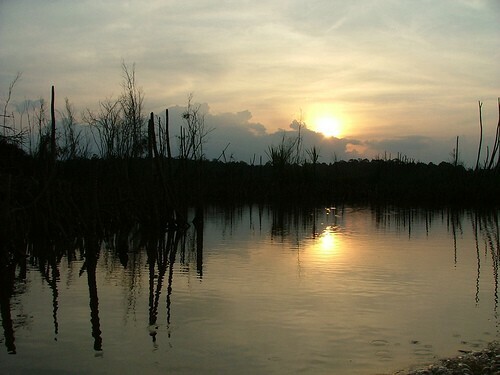 The total catchment area of Lake Bera is around 61,380 hectares, while the Ramsar site of 31,120 hectares include some 6,800 hectares of wetland habitats, known as the biggest natural lake in Malaysia. The lake is patches and joint to one another by a small fast flowing channel between them with full of 'screwpines' plants or Rasau in Malay and 'Pitcher Plant' floating on the water.